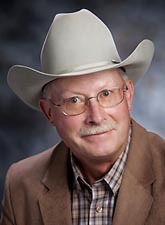 Mark Kaufman grew up in the Bear Creek area of southeastern Wyoming where he was involved with his family’s large cow/calf operation. After attending Eastern Wyoming College and the University of Wyoming, Mark has continued to be involved in agriculture as the owner/operator of farming, ranching, and feedlot ventures. He has personal experience in all avenues of agriculture which gives him an excellent understanding of the business to better assist clients in achieving their needs and desires. He moved to western Nebraska eleven years ago and has recently expanded into commercial real estate in both Wyoming and Nebraska giving him a well-rounded background in all types of real estate. With his well-known honesty and integrity, he will guide clients through the process of achieving their goals. Mark is licensed in Wyoming and Nebraska.